Thank you for attending the webinar! Thank you for attending the webinar! I’m confident it will help you become a better trader. 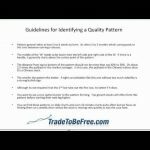 This webinar will explain the double bottom pattern and use the example of our first #1 pick in 2014 – revealing which stock it is. So be sure to Mark Your Calendar so you do not miss it! To attend the meeting when its about to start, simply go to the following URL: http://www.anymeeting.com/tradetobefree1 and follow the instructions. From there, you will see and hear the presentation from your computer once it starts. Feel free to ask questions during or after the presentation! More than ten years ago I was fed up with the lack-luster returns produced by fund managers in my aggressive portfolio. So I decided to do something about it and studied many of the investing legends that had produced incredible wealth for themselves and others. 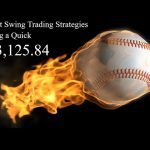 After 10's of thousands of trades in my own account, this site teaches you my favorite strategies tailored to today's market. 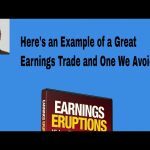 Discover why Tens of Thousands of investors and traders have already discovered the Tradetobefree difference and purchased our alert service and video training programs.